What is more annoying when you open a folder containing many multimedia files, having to wait for the progress of a green bar in Windows Explorer before you can access your files in Windows 7. If you do not use the search function, you can disable the file indexing. 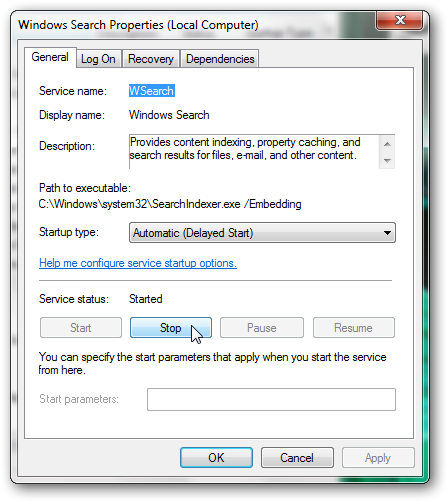 Windows 7 uses the index to perform very fast searches of common file on your computer, it is nice but sometimes has drawbacks like mentioned above. Here is how you can disable file indexing completely. In the window that opens, click on Stop and click OK. Close all Windows. In the “General” tab uncheck “Allow files on this drive to have contents indexed in addition to file properties” and click OK. When you will click OK ; a Window will open, select “Apply changes to drive, subfolders and files”. Click OK to finish. Restart the computer to take effect. This Article Has Been Shared 7290 Times! This information should really help anyone who is tired of the file indexing feature. However the file indexing feature can help in locating files very quickly. If I have forgotten where I have saved a file, I often type the name in the search box and find it easily. So for those who tend to use the search box often, do not disable this feature. 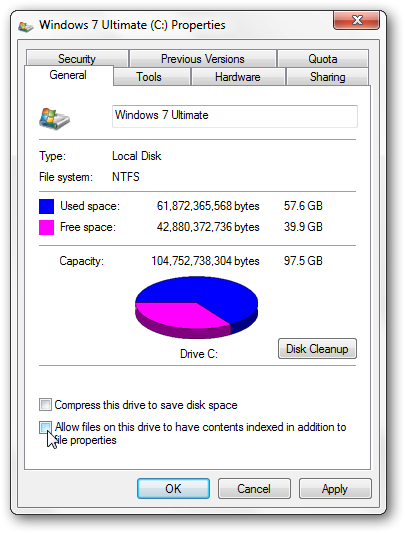 Cite this article as: Abhishek Ghosh, "How to disable file indexing in Windows 7," in The Customize Windows, February 14, 2011, April 24, 2019, https://thecustomizewindows.com/2011/02/how-to-disable-file-indexing-in-windows-7/.